Are you solving problems or just telling people how great you are? Let’s get right to the point here. Most consumers and others needing your product or service do not really care about how great you feel you are as a business. You may be all these things. You may be the best in the business or your industry and you might even have an endless list of referrals from others because people think so highly of you and your work. But there is really only one thing most care about when they think about using your company. Can you do what I need you to do? We are one of several collection agencies that work with small business around the country and what we quickly find out with a business that contacts us is that while they may have gotten a quick laugh from one of our blooper videos on YouTube, they are attracted to us ultimately because they feel we can do the job which is recover the money owed to them. By the way, we won’t stop having fun here at American Profit Recovery but we do understand that it is, in the end, our reputation as a reputable collection agency that gives a business comfort in hiring us. In September of 2018, just north of Boston, three towns experienced countless natural gas explosions due to what some experts believe was too much pressure in underground gas lines. Families in these three towns were told to evacuate and many were out of their homes for days while the gas company and others tried to resolve the issue. As you can imagine, people where upset. Gas company crews were out and about working hard as they had thousands of homes to cover. But what made some people angry was what the company was posting on social media. Photos of their crews smiling in front of homes and other locations. Other photos showed crews in front of a perfectly placed company logo on a truck in the background. All while families stayed in shelters. We’re not saying that posting such content is a bad thing but when people need you to do a job and they are depending on you, they want that job done before you pat yourself on the back. In the case of the gas company, the tragedy and magnitude of the situation only angered many as they saw these social media posts. Did they care about those perfectly staged photos with the logo in the background? No, they wanted the company to do their job. Let’s take your sales team for a moment. Are they just telling customer how great they are? Are they just trying to sell things or are they trying to become a trusted advisor to the customer? Do they actively come up with solutions to a customer’s needs or are they trying to get them to sign on the dotted line? And, do they ask the right questions? Your organization needs to develop a culture of helping rather than selling. People don’t like to be “sold.” They want to be guided in the right direction by someone who knows better and has solutions to their wants and needs. If you are a plumber, and something needs replacing, replace it with what the customer needs, not what you think you can sell them. If you are a lawn care professional, provide the customer with what they need to maintain their property. Do you offer them other services? Yes, if they make sense. If you sell cars, get that customer into the car they want and can afford. Not what you think you can make an extra $20,000 on. And if you build swimming pools, give your customer the backyard they have always wanted. Have you ever walked out of a store after buying something and you have no idea if you got the right product or if will even do what you need it to? It happens more than you think. What also happens is the customer comes back because you sold them something they didn’t really want or need and now they are upset. What do upset customer do? Yes, they tell others, either in person or online. Also in your culture should be educating your potential customers. That can be online, in your marketing materials or in person at your store or at the location that business is taking place. Tell me why I need something. Tell me why it makes sense and educate me as to why it will help solve my issue or make my life easier. If you look at any of our online videos, photos and other posts, you will see us having fun. There’s no doubt about that. We like to have fun and in our industry, we have to take a break and have some laughs. 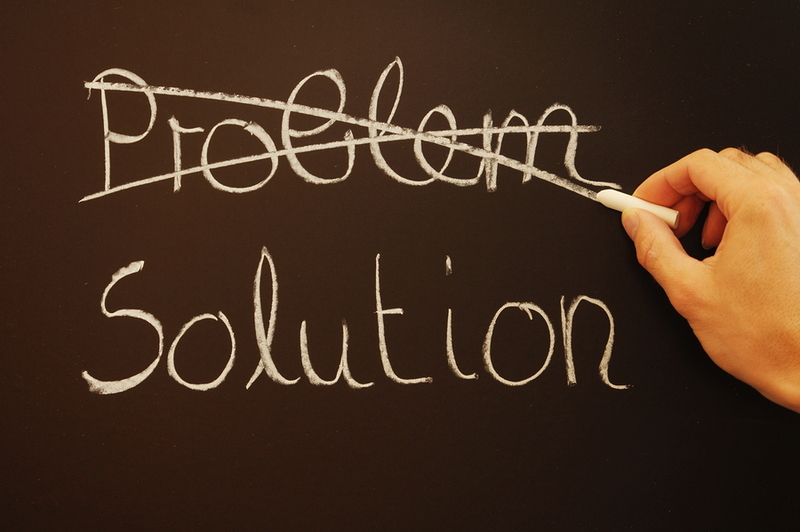 But a business comes to a collection agency for solutions to a problem. That problem is customers not paying and that leads to other issues, the biggest being lack of cash flow.